DigitalCity is inviting ambitious, investment-curious Tees Valley business owners who are wanting to scale up their digital/tech innovations and businesses to join its latest exciting programme. The fully-funded* Investor Readiness Programme is delivered over three sessions in May and will help senior leaders learn about the process of making their business and innovations investible through a series of seminars and practical activities. These sessions include how to raise money, how venture capital (VC) funds work, negotiation tactics, and potential issues at different financing stages. The peer to peer workshops will be complemented by a package of expert one-to-one mentoring that will be bespoke to the needs, priorities and objectives of each business on the Programme. DigitalCity, which is led by Teesside University in partnership with the Tees Valley Combined Authority and part-financed by the European Regional Development Fund (ERDF), is acknowledged as one of the key drivers of digital growth in the Tees Valley. It has a long and successful track record of working with innovation-led start-up and scale-up businesses – and the Investor Readiness Programme is being delivered by the team behind the highly successful SCALE Programme that worked with more than 30 of the Tees Valley’s leading high-growth businesses in 2017 and 2018. 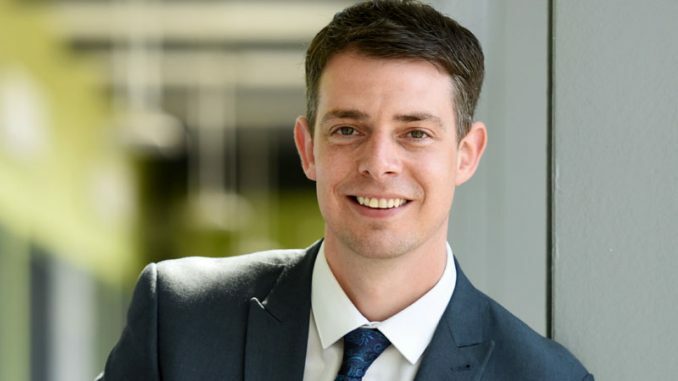 DigitalCity investment programme manager David Dixon (pictured above) said: “Most of the companies we work with ask us for assistance in understanding what funding is available, who and where the investors and funders are – and what they need to prepare for any discussions with them. The Investor Readiness Programme is being delivered on May 7, 14 and 21 at Teesside University’s Darlington Campus.